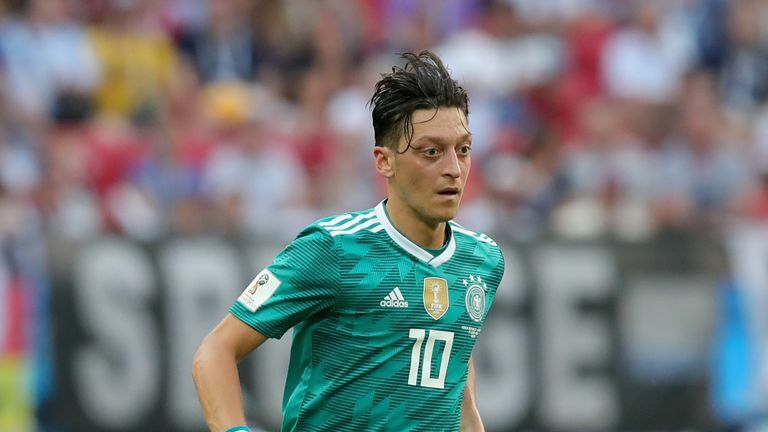 Germany coach Joachim Low has confirmed there is no chance of Mesut Ozil returning to the squad after he announced his retirement from international football in July. Arsenal playmaker Ozil accused some members of the German FA of racism, with Low later claiming he was not consulted by the player before he made his decision. Germany play France in the UEFA Nations League on Thursday - live on Sky Sports - with Low attempting to rebuild confidence after their group-stage World Cup exit this summer, minus Ozil. "I think everything has been said about this. When a player announces his resignation like that, you don't pick him for the squad eight or nine weeks later," said Low. "Players who have resigned will not have a role to play in future. He's said he doesn't want to play, he told us his thoughts, I don't know why we should keep talking about it. "He was part of the team for a long time but not anymore, for this team it's over and he's not part of our thoughts anymore. "Mesut and I enjoyed a lot of success together over the years. I have tried several times to reach him on the phone, without any luck, and I will continue to try and make contact with him in the future." Low has opted to bring in just three new players to his squad to face France, with the majority having featured in Russia, but he has backed them to lift the nation. "It's up to the team to light the spark and get the excitement going again," added Low. "Then the fans will get back on our side." Watch Germany v France on Thursday. Coverage begins on Sky Sports Football and Sky Sports Mix from 7:40pm.